6:30 am: Bubbers wakes up screaming hysterically. We rush in to find him and his crib covered in blood. The poor guy’s first bloody nose ever! 7:25 am: I finally finish cleaning up Bubbers, the bathroom and me. The washer is full of everything from his crib that has been sprayed with stain remover and pre-scrubbed by hand. 7:30 am: Scooters wakes up with clothes soaked through with urine and a crusty runny nose. 8:00 am: I finish cleaning up Scooters. 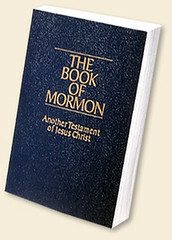 I’m so far off our routine that I completely forget to do our morning reading of The Book of Mormon. 8:15 am: I finally get in the shower. Very grateful that it’s really okay if it takes all day to take care of these things and my children. 9:30 am: After a quick breakfast, I get Scooters down late for his morning nap. But he just talks to himself for forever. And then finally falls asleep–for about 10 minutes. Poor congested kid. 12:00 pm: Excitedly go to our friends’ house for Bubbers’ little preschool group’s Valentine’s Day party. 12:15 pm: Scooters draws a cute little scribble with a red crayon. On our friends’ white couch. 12:30 pm: Bubbers jumps and plays with his friends and balloons. Until he is all bloody. The poor guy’s second bloody nose ever! 12:30-1:00 pm: Bubbers lays on the kitchen floor at our friends’ house asking over and over and over and over, “Is it done bleeding yet? When will it be done? Can I get up yet?” while I wipe down his hands and face, switch out his used tissues and try to keep an eye on Scooters in the next room. 1:05 pm: Bubbers finally able to rejoin his friends and decorate a few cookies. Scooters excitedly joins us! 1:15 pm: I’m so frazzled inside, I feel like a terrible guest and conversational partner. Have I said anything offensive? I hope not! 1:20 pm: Scooters wants to eat the cookies left on the table that are not his. When I don’t let him, he gets angry, grabs the tablecloth and YANKS! A glass of water spills all over him and the floor. He gets sad because he’s wet. 1:28 pm: Scooters runs off to play. Starts giving kids little smacks and sporting his deeply offended look. 1:30 pm: Bubbers is ready to leave and keeps whining that he wants to go. Scooters doesn’t want to go and laughingly runs away (with cheeks and belly jiggling) from his mother. Who is great with child. 2:00 pm: Scooters has a stinky diaper. During his diaper change, he keeps grabbing for his dirty diaper and soiling his fingers. When I finally pin his arms down with my feet, he gets angry and tries to pummel me (i.e., my belly) with his feet. When I firmly hold his feet to stop the pummeling and commence with the wiping, he cries pitifully. 2:30 pm: Scooters doesn’t want to eat his lunch and tries to throw it on the floor. 3:00 pm: The boys are finally asleep for their afternoon naps. 3:05 pm: I change into my comfy clothes. Do a few chores. And then lay down on the couch with sore feet and a long sigh. 4:00 pm: The boys are awake. After. Just. One. Hour. 4:30 pm: While playing, Scooters runs up to me for a hug. Then he smilingly slaps me in the face. 5:15 pm: Bubbers (very uncharacteristically) hits his little brother. During his time-out in the toy room, he cries until he’s bloody. The poor guy’s third bloody nose ever! 5:30 pm: Scooters knocks on the bathroom door and then hands me garbage he’s dug out of the trash can. 6:00 pm: Daddy is home. Praise. The. Heavens. 6:05 pm: Daddy doesn’t like the new shoe organizer I hung on the garage door. Or the new flannel and white board I ordered. 6:10 pm: Scooters is buckled into his booster chair. While he waits for us to sit down, he gags himself until he throws up. Bubbers refuses to approach the table until it has been cleaned up because seeing it will make him throw up, too. 6:15 pm: Daddy asks me to bless the food. Needing to pray, I fold my arms and bow my head. But then Bubbers steals my turn. 6:25 pm: Scooters doesn’t want to eat anymore dinner. Looks for little pieces of rice in his bib to throw at us and the table. 6:30-6:55 pm: Daddy knows I’ve had a rough day. He takes the children upstairs and they romp and play. I clean up the kitchen. While listening to Enya. And breathing deeply. The knots in my scalp finally start to relax. 7:00 pm: While giving Scooters his goodnight kisses, Daddy starts pulling him away from me too soon and Scooters slaps me in the face and pokes me right in the eye. Something else snaps inside of me. And I start to cry. 7:03 pm: While sitting in my dark room and enjoying the emotional relief that tears bring, Bubbers comes in. “Mommy are you okay? Are you crying because I’m getting so big?” he asks sweetly as he crawls up into my lap. Then he announces, “I’ll do a show for you and make you feel better!” He turns on the light and plays with his McDonald’s bat-shooting toy for me. 7:25 pm: I smile and shake my head as I watch him go upstairs with Daddy. Grateful for my family. And grateful that days like these are few and far between. 8:15 pm: Daddy tells me he knows what I need. He goes out to buy me my favorite ice cream milkshake. And get a foofy romantic movie from Redbox. What a sweetheart! 8:45 pm: Daddy calls. He forgot his wallet. His phone dies. 9:00 pm: Daddy comes home to get his wallet. Goes back out. Glad it ended on a good note. Those days are so rough! So sorry you had such a rough day!!! What a day! I guess it good to have days like that to make the other ones seem pretty good by comparison. Sorry you had such a rough day. Seems like mothers get those sometimes. Just can’t wait to watch those little guys :-). You poor thing. I wish I could say it’ll get better with three but it’ll probably get more hectic for a while. I hope the following day was better and I’m glad you were able to end it on a happy note! Wow that IS a bad day! Bloody noses are probably my least fave bodily fluid to clean up. Glad your Mister took good care of you:) ((hugs)) from here! Wow. I hope that they put an extra dose of sugary goodness in that milkshake for you – sounds like you needed it! But you know, it’s comforting to know I’m not the only one that I’m not the only one that has “one of those days”. I had a similar one on Sunday. I’m glad it’s over and it makes the other days of less craziness seem much more blissful. Oh Heidi, I’m afraid this is one of my favorite posts, ever! But I say that with utmost empathy, because I have SO “been there”. ;) And I knew exactly what you meant when you talked about how you started to cry after Scooters slapped you…so many times I’ve had a hard day and then I do something small like bump my head or pinch my finger (or one of the kids hurts me) and then the tears just start gushing!